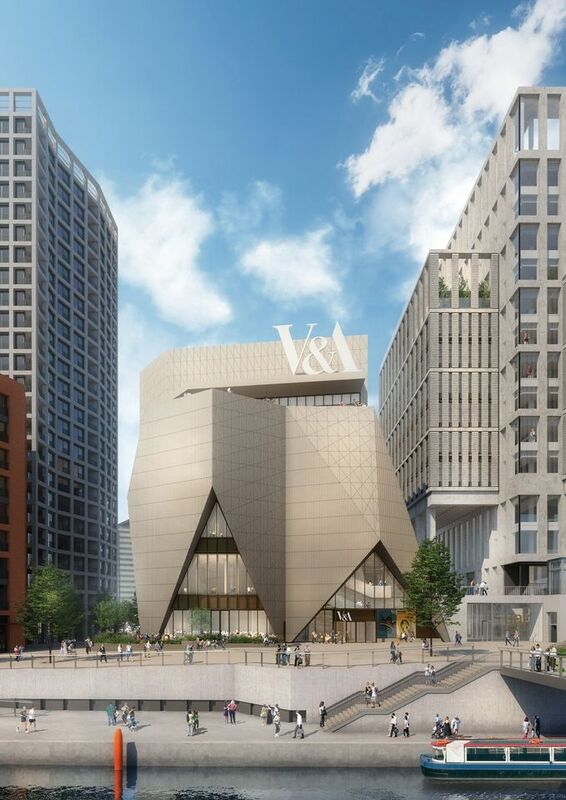 V&A East, the Victoria and Albert Museum’s future venue on the former Olympic site in Stratford, is likely to be the largest UK museum project in the early 2020s. But what is not yet widely appreciated is that the V&A is to get its massive buildings for free. 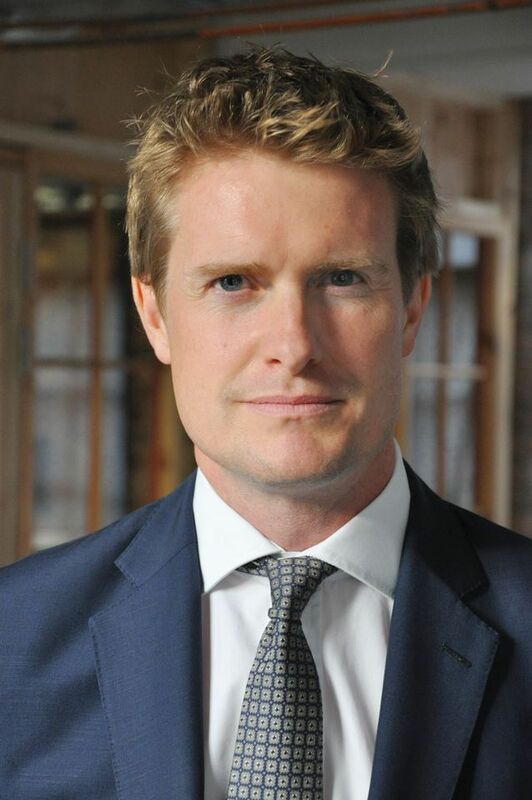 In an exclusive interview with The Art Newspaper ahead of a formal press briefing today, the V&A's director, Tristram Hunt, revealed details of this "incredibly exciting opportunity” for the museum's east London site. There are two interconnected elements to V&A East. A collection and research storage centre is to be established at Here East, the former Olympic broadcasting centre. The building, which will hold 250,000 objects, should “reinvent the idea of a museum store”, according to a museum statement. 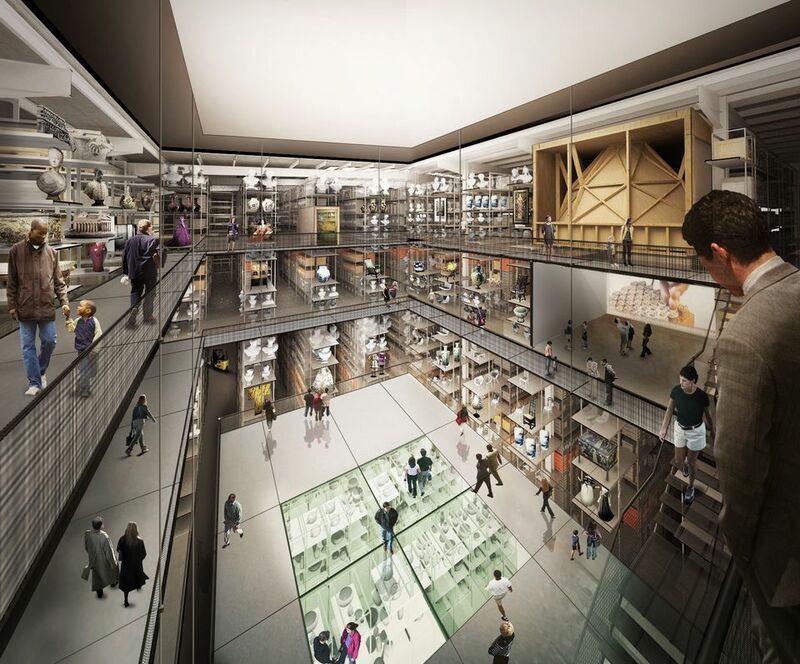 The interior is being redesigned by New York-based architects Diller Scofidio + Renfro. The V&A’s main store is now in Blythe House, in west London, but the government is selling the building and has pledged £50m to the museum to create new facilities. The more ambitious element of V&A East will be the waterfront museum, ten minutes’ walk away. 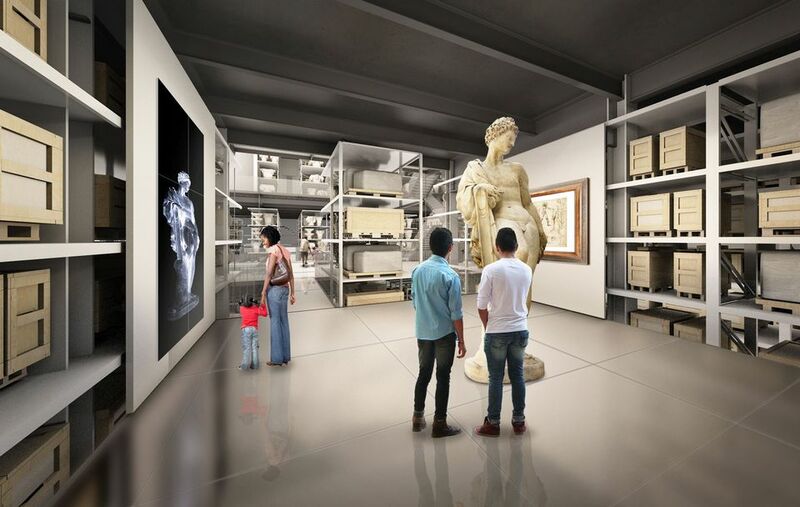 It will have large galleries, one of which will be co-curated with the Washington, DC-based Smithsonian Institution. The waterfront museum will have a spacious temporary exhibition gallery, presenting two shows a year, with one in four organised by the Smithsonian. It was announced today that the inaugural show will be co-curated by the V&A and the Smithsonian. Among the Smithsonian’s lending bodies will be the National Museum of African American History and Culture, which opened two years ago, and the National Air and Space Museum. The five-storey museum, designed by Dublin-based O’Donnell + Tuomey, is to be funded by the London Legacy Development Corporation, so the V&A will not have to raise any of the capital costs. Perhaps the greatest risk will be the challenge of raising the running costs for the two new buildings. The museum has submitted a detailed business plan to the Treasury and the success of V&A East will depend partly on securing more grant-in-aid from the culture department. This has been agreed in principle, but detailed discussions on the precise level of support are underway. Tate succeeded in getting more government funding when they opened their Bankside extension two years ago: from 2016/17, their annual grant was increased from £29.0m to £35.8m to assist with running Tate Modern. The V&A hopes that both east London sites will get planning approval next spring and that they will open together in 2023. The museum predicts that the two together will get around 750,000 visitors a year. The Art Newspaper: What is your vision for V&A East? Tristram Hunt: There will be two elements: the waterfront museum and, ten minutes’ walk away, the collection and research centre. It is important to see them as a cohesive whole, with a strategic purpose—connecting with new audiences for a design museum in the 21st century. But we also need to think about how that work flows back into the South Kensington museum. Can you give us a tour of the waterfront museum’s displays? The entrance gallery, on the podium level, will give an immediate sense of the scope of our collections of art, design and performance. It will include Islamic and Indian material, ironwork and textiles, for example, and how these objects connect to audiences in east London. The next floor up will be the gallery co-curated with our partner, the Smithsonian Institution. There we want to address big, topical issues thematically—tackling challenges of our time. For instance, displays might be on issues around identity or loneliness. These could change every 18 to 24 months. The third gallery floor will have a very large temporary exhibition space, for two shows a year. One in four exhibitions will be curated by the Smithsonian. And in addition to generating our own exhibitions, the V&A will bring in shows produced by outside organisations. On the upper level there will be a gallery that focuses on co-design or participatory design. It will be a dynamic space, linking to artists and designers from east London. How will the partnership with the Smithsonian work? We will have the co-curated gallery, with objects from London and Washington. There will then be the Smithsonian-curated temporary exhibitions, although we have not yet decided who will do the opening one. The Smithsonian ethos and brand will be clear to our visitors, which will make it an interesting partnership. What about the collection centre? How accessible will this storage facility be? Visitors will access it in three ways. Some areas will be open, with people typically spending around 45 minutes there. For those who want to go deeper, there will be bookable tours with a guide. And for research and scholarship, there will be individual access to particular objects. The costs must be enormous. How will the money be raised? For the collection centre, the government is giving us £50m to move out of Blythe House, our present store in west London. We need £13m to digitise the objects, pack them and move them to east London. The remaining £37m will be used to fit out the building, which is known as Here East. With the waterfront museum, there will be no capital investment by the V&A. The core financial element is being raised by the sale of housing by the London Legacy Development Corporation, with profits supporting the cultural quarter. What is the capital cost of the waterfront museum? Can you give us a very rough idea? It will be hundreds of millions of pounds. So the V&A is effectively getting a major museum building entirely free. You are very fortunate. We were invited to participate in the Olympic cultural quarter in 2013 by the mayor of London, then Boris Johnson, and the chancellor of the Exchequer, then George Osborne. On the one hand it’s incredibly exciting. But you have to enter with your eyes open. It’s a great opportunity, although a strategic move to a multi-site organisation is not without risks. What about running costs for what is another very large museum? How many visitors do you expect? We expect 100,000 or so at the collection centre; 600,000 to 650,000 at the waterfront museum, probably with a bit more in the first year. So around 750,000 for the two buildings. We hope to get planning permission for both projects next year and start building work soon afterwards. Our ambition is to open in mid-2023. We hope the two buildings will open at the same time. We want visitors to approach the waterfront museum and the collection centre as a whole, and for the buildings to come alive at the same moment. What impact do you think V&A East will have on the South Kensington museum? As soon as you create something new and transformative in east London it ought to inflect the culture here at South Kensington. We are also building a partnership with the Smithsonian, so I would hope that some of that experience would come back to curators here. South Kensington will remain the cultural and intellectual beating heart of the V&A, but it has to renew itself and keep moving. DECEMBER 2013 Boris Johnson, then mayor of London, announced his vision for Olympicopolis, a new cultural and educational quarter on the site of the 2012 Olympics in Stratford. JULY 2014 The V&A, the dance venue Sadler’s Wells and University College London were confirmed as partners in the project. The London College of Fashion joined in November 2014. JANUARY 2015 The Washington, DC-based Smithsonian Institution revealed it was considering opening an exhibition venue at the east London site, its first overseas location. JUNE 2016 The Smithsonian dropped plans for its own building and decided to collaborate with the V&A on a space inside V&A East. OCTOBER 2017 A planning decision reduced the height of two proposed residential blocks, so more land was needed for housing. Partly as a result, the V&A split its outpost in two: a waterfront museum and a nearby collection store at Here East, the former Olympic broadcasting centre. The store will replace the current facility at Blythe House in west London, which is being sold off by the UK government. JUNE 2018 Sadiq Khan, who became mayor of London in 2016, dropped the Olympicopolis name and unveiled new architectural plans for the site, now known as East Bank, including new BBC music studios. OCTOBER 2018 A planning application for the waterfront complex, including V&A East, is due to be submitted. Decisions on this and the collection store are expected next spring. The total cost of the cultural and educational quarter is estimated at £1.1bn. The mayor’s London Legacy Development Corporation (LLDC) is overseeing the project and aims to raise the largest share of the funds for the waterfront project through the sale of housing. A further £385m has been pledged by the Greater London Authority, £151m by the UK government and £270m from University College London. The Foundation for FutureLondon, LLDC’s charitable arm, is also fundraising from other sources.